Those of the ilk of rancher Cliven Bundy and billionaire Donald Sterling believe there’s a place for African-Americans. And, Sterling said in a taped conversation, that place certainly is not in photographs with his girlfriend posted on Instagram. Bundy, who stiffed the federal government for $1 million in grazing fees, suggested the best place for African-Americans is in cotton picking trade schools, where they’d be taught a skill that would enable them to secure positions as slaves. For Sterling, Bundy and their amoral company, the good old days were pre-emancipation, when white men like them were men, and federal law said black men were, well, only three-fifths human. Sterling, owner of the Los Angeles Clippers, told his girlfriend she should not bring black people to his team’s basketball games. Bundy told a reporter he thought black people were “better off” as slaves. Crucial to this bigot-think is reduction of some people to subhuman status. That’s how Republicans see poor people: subhuman, three-fifths people. 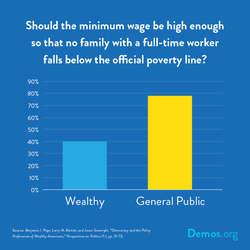 And that is the primary reason that the GOP last week blocked a measure to raise the minimum wage. When Republicans talk about low-wage workers, they use the language of bigots. Republicans call fast food cashiers, home health aides and hotel maids stupid and unskilled and lazy. Also, the GOP contends, minimum wage workers are teenagers, not whole humans, merely children. Republicans believe such subhumans deserve paltry wages. He is saying it’s OK to pay those people less money than needed to live because, in his mind, they are lesser humans – sub-beings with, according to him, no skills. These are people who get to work every day, who perform duties prescribed by their employers, and whose production provides profits for the companies employing them. The firms hiring grocery stockers and waitresses and car wash attendants need these workers to execute specific tasks so that the corporations can make money and pay their CEOs millions of dollars. Only when these workers are denigrated as subhuman can CEOs and Republicans justify paying them sub-living wages. If a Republican had a conversation with a minimum wage worker, he’d discover they’re smart, hard-working adults. The average minimum wage worker is 35. In fact, 88 percent are older than 20. These are not children. Forty-four percent have attended some college. About 8 percent held bachelor’s degrees in 2012, and 37,000 had advanced degrees. Many tell stories of grueling, back-busting lives in which their dedicated work is essential for the support of spouses and children and elderly relatives. Twenty-eight percent of them have children. Some live in their parents’ homes, but not because they’re teens gleaning prom spending money. Sometimes low wage workers remain at home because they’re working and caring for elderly parents. Too often, the low wages leave these workers with only two choices for shelter: parents’ home or public housing. But Republicans don’t know that. And they don’t want to. The average net worth of the 41 GOP senators who opposed the first minimum wage increase in half a decade is $6.26 million. They don’t deign to chat with the $15,000-a-year chauffeurs, maids, waiters, nannies and housekeepers who serve them hand and foot. The GOP so opposes speaking with humans they disregard as “lower class” that they bar them from testifying at government hearings on poverty. Maybe what Ryan would learn if he listened to an actual poor person is that they don’t dream because they can’t get to sleep on empty stomachs after the GOP-orchestrated food stamp cutbacks. 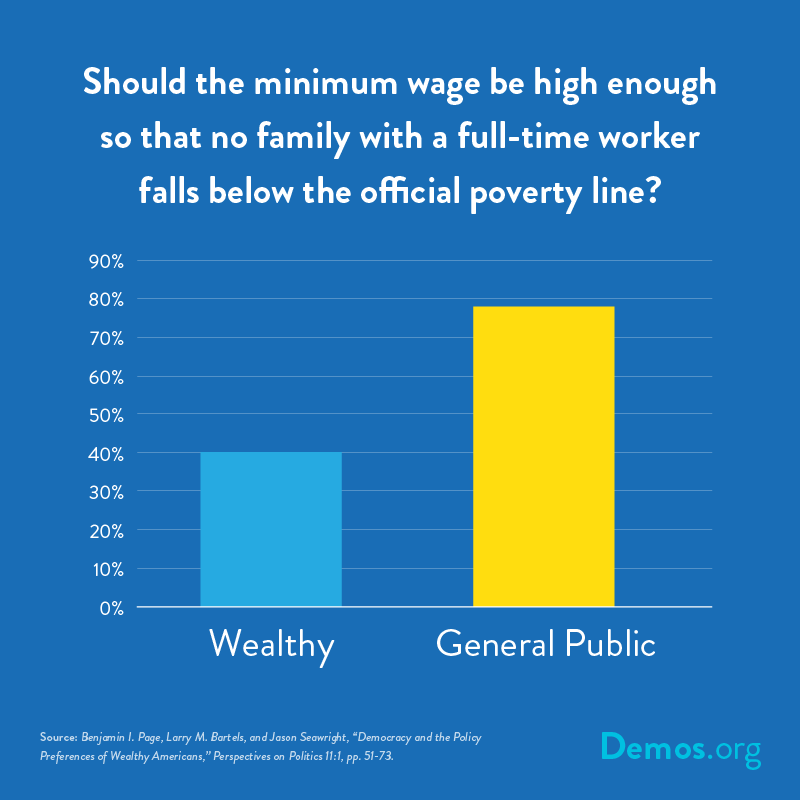 If Ryan really wanted to decrease poverty, he’d increase the minimum wage. The proposal rejected by Republicans in the Senate to raise the minimum from the current $7.25 an hour to $10.10 over a period of 30 months would have pulled 900,000 people out of poverty, according to the Congressional Budget Office. The CBO also estimated that it would have raised the wages of 16.5 million people. But Republicans are dead set against that. Dead being the operative word. Boehner, a Roman Catholic for whom suicide is a mortal sin condemning those who commit it to an eternity in hell, once said he’d kill himself before voting to increase the minimum wage. Some Republicans go further than that – they want the minimum eliminated entirely. Paying a penny an hour – even a penny a day – would be fine with GOP darlings Ron Paul and Michele Bachmann. Paul echoed Cliven Bundy in talking about it, saying poor people would be better off if no wage were too low to pay a worker. But it’s in keeping with Republicans’ view that some workers don’t deserve human dignity because they’re only three-fifths people.